DIRECT FROM LOURDES - Beautiful Lourdes Holy Water Bottle & 40 Page Novena Book Set. 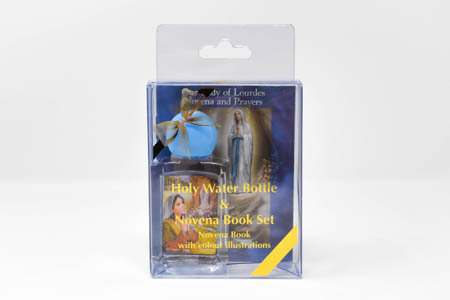 Beautiful Lourdes Holy Water Bottle & 40 Page Novena Book Set. Lourdes holy water bottle & 40 page novena book set. Book comprises of 40 pages 3 3/4"x 3 1/2" & the plastic bottle is 3" tall.